Many employers have implemented direct deposit payroll systems to reduce the transaction costs associated with paper payroll checks and the risks of the loss or theft of paper checks. A payroll card is an increasingly popular method used by employers to provide for the direct deposit of wages, particularly for employees without a deposit account at a financial institution. 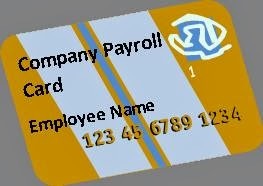 A payroll card is a debit or prepaid card onto which the employer loads an employee’s wages. The employee may then access those wages through withdrawals of cash at an ATM machine or by making purchases using the payroll card as a payment card. Employers should be aware that payroll cards are subject to federal regulation under the Electronic Funds Transfer Act (EFTA) and Regulation E, which implements the EFTA. Regulation E, among other things, requires that the employee receive certain disclosures concerning the fees associated with the payroll card, places limitations on the employee’s liability for unauthorized transfers using the payroll card, and provides error resolution procedures relating to the payroll card. In addition, the Consumer Financial Protection Board (the “CFPB”) recently issued a bulletin instructing employers that Regulation E prohibits an employer from mandating that its employees receive their wages only on a payroll card selected by the employer. The CFPB’s bulletin makes clear that the employer may require employees who do elect to receive their wages on a payroll card to use only an employer-selected card, but the employer must also offer its employees other options for receiving their wages, such as by direct deposit to a deposit account at the employee’s financial institution or in the form of a check or cash. The CFPB was formed in 2010 and has become increasingly active in enforcing consumer finance laws and regulations. The CFPB has now been authorized to enforce the EFTA and Regulation E against employers that issue payroll cards to pay wages. To avoid being subject to CFPB enforcement action, employers should ensure that, if they use payroll cards for the payment of wages, the payroll cards are one of several payment options available to employees and that the terms that apply to the payroll cards are compliant with the EFTA and Regulation E.
In addition, an employer needs to be sure that its wage payment methods and any payroll cards used to pay wages comply with applicable state law. The EFTA and Regulation E permit states to adopt laws that provide for greater protection to employees than the EFTA and Regulation E. Minnesota, for example, allows the use of payroll cards as a wage payment option, but imposes requirements similar to Regulation E on the terms applicable to payroll cards. In addition, Minnesota law does not permit an employer to mandate that employees accept wage payment by direct deposit, but allows employers to provide direct deposit as a payment option.